Apple vs Android, which is Better? 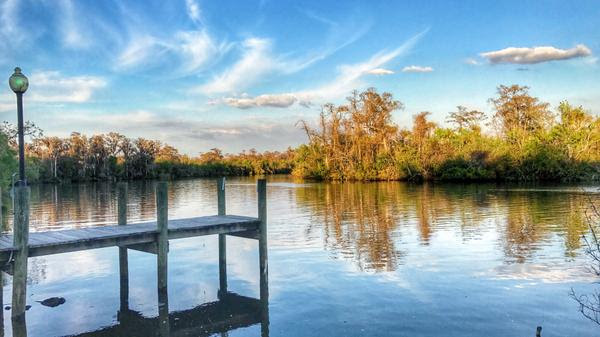 The month of January was all spent in Florida and it was delightful. We bounced between Orlando, Fort Lauderdale, and Arcadia. Teaching lots of Google Photos as well as general Smartphone knowledge. Jim got a chance to go scuba diving several days with his long-time dive buddy who was visiting from New Jersey. See Jim’s underwater video of one of the dives. More photos of our month are on our January Photo Album. The stories to go along with this are on our January Blog. We’re in Florida until mid-February, then we’ll be heading west for several RV rallies in Arizona, and some clubs in California. 1/31: What Does This Button Do? April will find us in Yuma, AZ, Laguna Woods, CA, and Sevierville, TN. 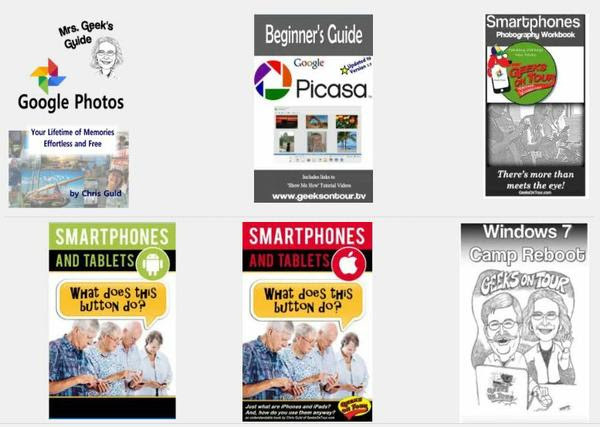 If you are a Premium member of Geeks on Tour, you have access to 7 eBooks on Google Photos, Picasa, Smartphone Photography, Android devices, iOS devices, Windows 7, and Windows 8. Just click on the Member Login menu and you’ll see a link to the eBook page. If you’re just interested in the Google Photos book, even non-members can download a free chapter here. Bill Osborne wants to learn everything! Pictures, Blogs, Smartphones, Cloud computing, Videos, YouTube, Drones, GPS, Facebook, maps … I guess that’s what happens when you retire from being a pilot, an army finance instructor, a mortician, a real estate salesman, an entrepreneur, a flight instructor and an optician! You GO Bill! “Sometimes when I take a photograph with my iPhone 7, the snapshot moves briefly when I view it. Why? We’re updating the website all the time. There are nearly 1,000 articles, 450 videos, and 110 What Does this Button Do Episodes. How do you find what you want? Here are some tips on how to get to the best stuff! 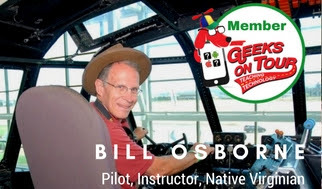 The Geeks on Tour websites are an online learning library resource for anyone who wants to learn to use their smartphones, tablets, and computers for managing digital photos, making blogs, using maps and other online resources. View selected free videos in our extensive Video Learning Library, read articles on our Computer Tips for Travelers Blog, and sign up for our free monthly newsletter, A small fee makes you a Premium Member and you can take full advantage of Geeks On Tour benefits.